Borders: Free Book When You Read 10 + Double Dip With $10 From TD Bank! 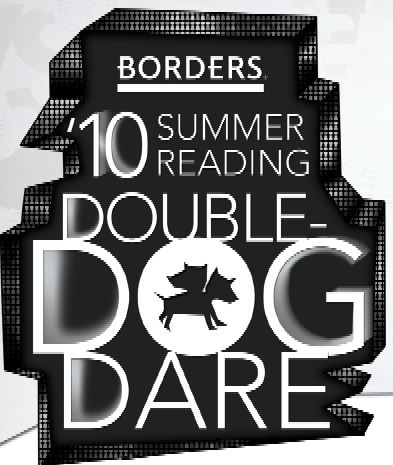 Reader Audra let me know that if you are 12 and under, Borders is Double Dog Daring you to read 10 books this summer. If you do, they will be happy to give you a Free book. Just head over here, complete the form and bring it into your neared Borders by 8/26/10. And, you can double dip on this deal if you have a TD Bank. They are offering $10 when you read 10 books. Head over here to check out that offer. New $0.50 Coupon For Eat Smart Fresh Vegetables!